Calex’s new decorative line, in particular the latest XXL series, is ideal for use in restaurants and hotels. 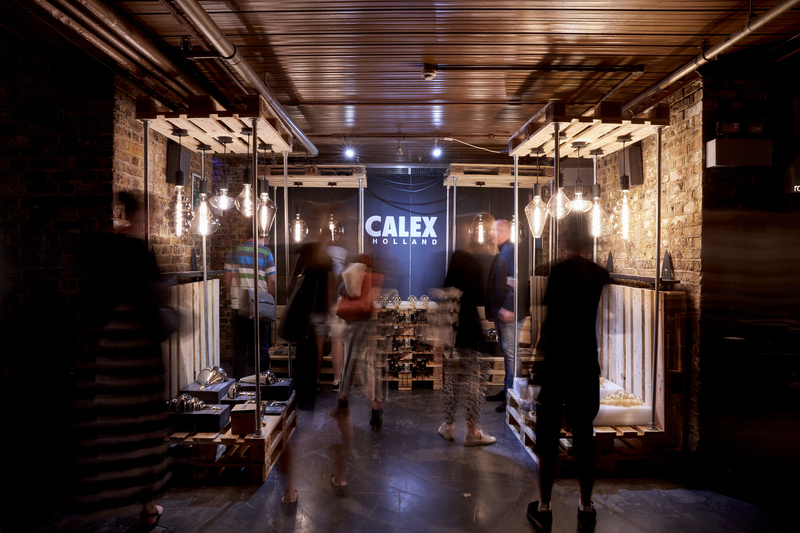 To get in touch with this new group of clients, Sales displayed their products at Clerkenwell design week in London. This fair is the place to be for stylists, designers and buyers for exactly this new customer group. So while we were reminiscing the wedding of Prince Harry and Meghan Markle, the beautiful weather and an extra day off because of Pentecost, Sales showed the XXL series in both colors at a super trendy location; The Fabric Nightclub in London. The industrial and dark setting of this nightclub made the lamps and other displayed brands of fixtures look perfect. Especially the titanium range of the Calex XXL series were favorable.